Americans have long had a fascination with their own history. Granted, the nation is a baby when compared to European countries with centuries upon centuries of history to draw upon, but Americana is increasingly becoming a popular concept amongst all generations. There is something about finding a piece of American history stored away in the attic that really brings a smile to many faces. That is the spirit of the show American Pickers. This is a show on the History Channel that has become quite popular. The co-hosts will go to different cities across American in hopes of finding some hidden treasures in the back yards an attics of homes far and wide. You just never know where that next piece of American history is going to be found. 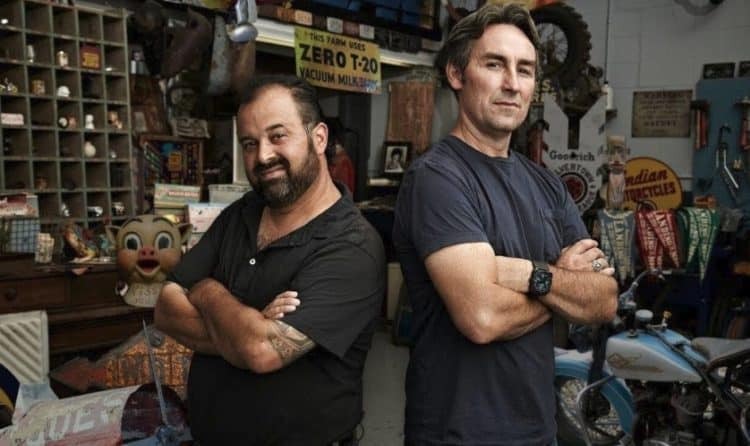 With so much of America left to explore, here are five cities where we think that American Pickers should consider going to film an upcoming episode. Sedona is located in the Oak Creek Canyon region of Arizona and has more than a century of history to go through. The settlement dates back to 1876 when John Thompson first moved to the region. It has been a thriving community ever since. It is the location of the growing New Age movement, and many people travel to the region to receive some spiritual enlightenment. Hidden amongst all of those rocks is surely an American treasure or three. This would be a beautiful location to fill an episode of American Pickers and a place where some unique memories of America can be uncovered. Las Cruces is an interesting little town that is nestled right on the borders of Arizona and Texas. It was founded in 1849 and has long been settled by a mix of Native Americans, Spanish explorers, and colonists from Mexico. It is literally a living history museum of the American Southwest. The Pickers will almost certainly find various artifacts that represent this aspect of American culture. There are will be many Native American trinkets found here that will not be easily found anywhere else in the country. Beyond that, the desert landscaping with brilliant sunsets will form a great backdrop for the show. It is actually amazing that American Pickers has not already been to Pensacola. This is an area of the state that was first settled way back in 1698. It was a Spanish settlement back in those days. You talk about a lot of history. While the modern-day Pensacola is much different, there are still generations of families living there. Who knows what they have stored in the attic that will prove worthy of a treasure that reflects the best of what Americana has to offer. We can’t forget the New England area when we start thinking about places that represent the best of what America has to offer. Vermont has a great deal going for it within the borders of such a small state. Burlington itself was founded in 1830 and has long been considered the major city of the state. This is also where the University of Vermont is. You will find loads of historic houses within the city limits, many of which have centuries of history located within them. There are also reports of hoarder houses being found there, so these would be ideal of the American Pickers to go through. Wyoming seems to be a forgotten state, which we supposed has something to do with the fact that less than a half million people live there. That being said, there is a lot of history to be found there. First surveyed back in 1867, who knows what treasures the first settlers to this land brought with them. Many of those are probably stored swayed in horse barns located throughout the city, meaning that this would form yet another great backdrop for American Pickers. As you can tell, these five cities will get the pickers off of the traditional path of the big city. There are so many treasures to be found in smaller cities where families have lived for generations in the same place. There will surely be some good locations in each of these cities where the co-stars of the show can go through homes and antique shops to find more than a few treasures to add to their own collection.